Is ‘Encryption of Everything’ the new savior in the Cyber War? Data breaches in 2015 are at record level. By September 22, 2015 the Identity Theft Resource Center (ITRC) identified 563 data breaches with 150,196,896 records compromised in total. The number of compromised records is nearly twice as high as in 2014, where 85,611,528 records were breached in total. Encryption is recommended as a means of choice for protection against data breaches and theft of intellectual property as well. Friday evening, I attended the SC Magazine WebCast “Creating an Encryption Strategy for Modern Risks Mitigation”. David Shackleford and Charles Goldberg are drafting a “Encryption Everything” strategy for all company internal information irrespective of whether it is stored on premise of in a cloud. The idea of ‘encryption of everything’ has a certain charm and, if well implemented, will avoid that internal information is useable outside the encryption key perimeter of a company. But it is dangerous to assume that encryption of everything will prevent data breaches. The problem with encryption comes always from the users who are authorized to access the information. And the big question is always how an authorized user can be uniquely identified. It’s not easy to answer the question, whether an authorized user is signing in to your system or a cyber attacker with the credentials of an authorized user because in both cases the event log will only show a successful sign-in attempt of a user. Encryption plays an important role in a company’s security strategy. If used as isolated protection measure, it’s just waste of money. This entry was posted in Opinion, Puzzling discussions and tagged Charles Goldberg, data breach, David Shackleford, Encryption of Everything, Identity Theft Resource Center, ITRC on September 26, 2015 by Klaus Jochem. This LIFARS post from last Friday should shake up every service provider. It’s definitely time to make Two Factor Authentication (TFA) obligatory for all services which process personal details. TFA is no longer a matter of technology. For example, Authenticator Apps are available for all phone operating systems and, really easy to use. Combined with even a weak passwords the one-time passcodes generated by the authenticator apps form a nearly unbreakable authentication method. With this, news like Ashley Madison Breach Reveals Ridiculously Weak Passwords are a thing of the past. Take care! And learn how-to protect yourself against identity theft. 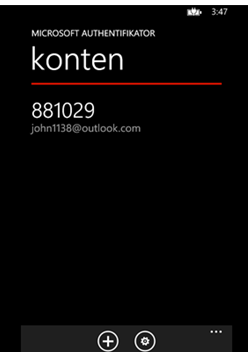 This entry was posted in New Technology, Survival tips and tagged Ashley Madison, data breach, Microsoft Authenticator, one-time passwords, service provider, TFA, Two factor Authentication, weak passwords on September 14, 2015 by Klaus Jochem. Java server pages are often used for implementing web applications. I found well written applications that were, very often, badly deployed in unprotected folders on the application server. This is a head start for attackers because they can easily analyze the code to find vulnerabilities for further exploitation. Although this problem is known for many years application admins make still the same configurations errors. In my view there’s only one solution to this problem: Automated web application assessments before a service goes online, and periodic reviews afterwards. For a really good presentation of the problem and the solution check the OWASP Code Review and Deployment page. That’s it for today. Take care of your application code! This entry was posted in Opinion, Survival tips and tagged Automated assessments, Code Review, Java Server Pages, JSP, OWASP on September 8, 2015 by Klaus Jochem.